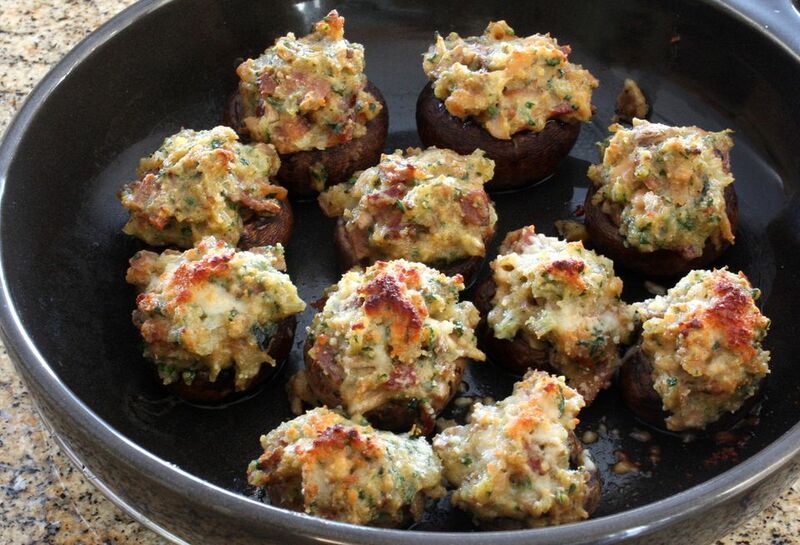 This delicious stuffed mushroom recipe deviates from the same old same old with calls for clams, garlic, breadcrumbs, and some basic seasonings. Wow, your guests with new flavors. Remove stems from mushrooms; mince stems and set aside. Place mushroom caps on a lightly oiled rack in broiling pan rounded side down. Set aside. Brush some butter on mushroom caps. In remaining butter in skillet, simmer the minced stems, garlic, and reserved liquid from clams until mushroom stems are tender, about 4 to 6 minutes. Stir in clams and remaining ingredients. Spoon clam mixture into mushroom caps. Move the pan to the oven and broil mushrooms for 7 to 9 minutes, or until mushrooms are tender and the stuffing is browned.